The Alamo is a common phrase in Texas. It refers to the battle of the Alamo, which took place in San Antonio. Today, the Alamo is a popular tourist destination. In this guide, I will tell you what to expect if you decide to ever visit the Alamo. The reason why the Alamo is so important is because of the history behind it. A war between America and Mexico was fought at the Alamo over a hundred years ago. In 1744, the Alamo was constructed as a church; however, it was converted to a fort in 1793. A few decades later, this fort was besieged by Mexican troops. The Mexican troops won the battle and killed all of the fighters that were at the Alamo. However, the sacrifice that the fighters of the Alamo made emboldened other American troops to fight back with greater tenacity. Without this tenacity, south Texas might still belong to Mexico. Like I mentioned above, the Alamo is located in San Antonio. More specifically, it is located in downtown San Antonio. Parking can be a little difficult to come by, so you may want to arrive early. 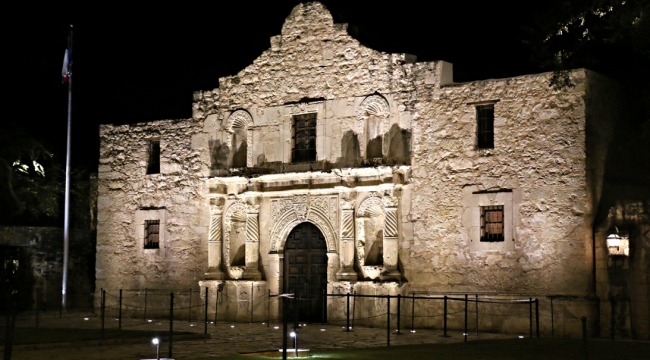 As for hours of operation, the Alamo is open year round with the exception of Christmas Eve and Christmas Day. You can't beat the price, though. It's completely free thanks to private donations, the gift shop; etc. So be sure you buy something at the gift shop to help keep this tourist attraction free to the public. For more information about the hours of operation, click here. If you decide to visit the Alamo then be prepared for the crowds. Going early might help a bit but you should just prepare yourself to deal with a lot of people. After all, the Alamo is a fairly popular tourist attraction. It's also near the Riverwalk and other popular areas. As for the Alamo itself, it has been restored a bit over the years. But you can still get a feel for what it must have been like in the past. Bring your camera because you'll want to have a couple of pictures of this place. Just so you know, there are no tour guides at the Alamo due to the number of people who visit. But there's still plenty of information for you to read and see inside the fort. Videos, pictures, and articles will all be available for you to view. There is also staff members around who may be able to answer your questions. That is, if they're not already swamped with questions from other people. As you can see, the Alamo is a wondrous sight to see. Millions of people visit the Alamo each year though, so be sure and brace for the crowds. So if you're looking for a cheap vacation then visit the Alamo and learn something interesting about the Texas culture.